As the resident collector here at Quill & Pad, I think it’s important that I share with our readers what goes on in an enthusiast collector’s head as he or she ponders the purchase or sale of a watch, or even considers a fundamental re-shaping of his or her collection. This is the first in a planned series of “why I bought it” articles that will unfold here over time. Of course, there will be photos – and lots of them – but I hope you’ll find my commentary on a collector’s mindset and the motivations, delights, and possible misgivings behind each individual transaction interesting, too. Let’s start the series off with a bang: my latest addition, the Vianney Halter Deep Space Tourbillon. Fun: pieces bought just because they appeal; usually at a price point at which long-term value isn’t a big concern. In some collections, the “fun” pieces tend to churn more rapidly than others. A recent example in my collection is the new Omega Bullhead. I find it really striking, and if no one else does it doesn’t really affect me one way or the other. Investment: meant not in the sense of “pieces I buy in expectation of increasing value,” but rather “pieces with established or predictable market values that form the foundation of a collection.” One of the secrets of amassing a collection worth more than you can really afford is to focus on these sorts of watches – I’ll likely come back to this in a future post. The A. Lange & Söhne Lange Double Split and the Philippe Dufour Simplicity are two examples of this for me.  Patronage: watches bought because they support the efforts of makers (often, but not always, independents) whose ability to continue delighting us with new things depends heavily on the ongoing support of enthusiast collectors. Here we’re talking about watches like my two Kari Voutilainen pieces, and perhaps the Habring2 watches I’ve bought over the years as well. I’ll add a fourth dimension that, for my collector pals and me, runs deeply behind all three of the above: passion. To quote the mother of a former work colleague of mine: “If you don’t love it, don’t buy it!” This helps me to steer clear of many fads, and also keeps me from buying “investment” pieces on the premise that since everyone else loves them, I should as well. For me, Vianney is one of the true artists of horology. His work is always edgy without (to me) going over the line, and history has already established his Antiqua – which many found shocking at its introduction – as a modern classic. 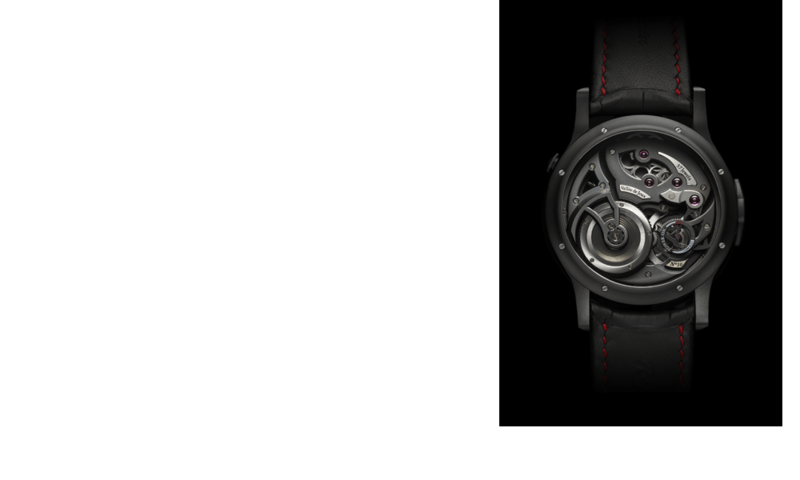 I see the Deep Space Tourbillon as a worthy extension of Vianney’s daring design aesthetic. 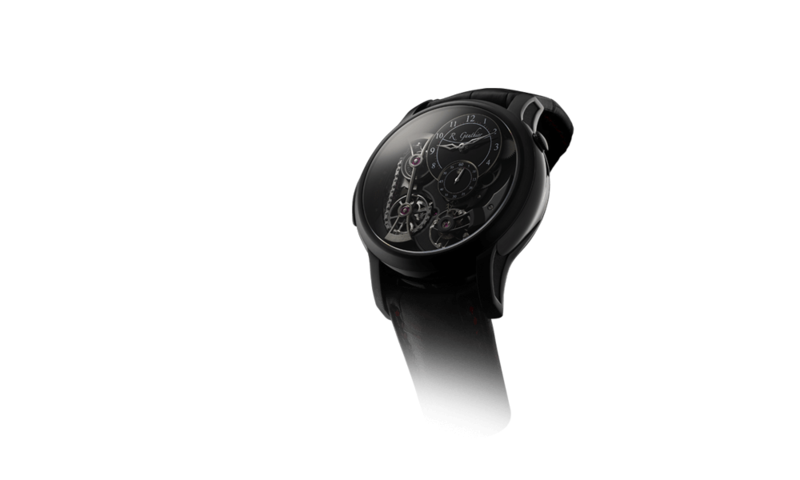 I also find the technical design of the Deep Space Tourbillon stunning to look at, and at the same time technically innovative. I don’t know of another central multi-axis tourbillon, and Vianney’s conception of one is both audacious and (at least to date!) successful. I was an early subscriber to the watch. Our small collector group became aware of the existence of the Deep Space Tourbillon in January of 2013, and shortly thereafter I had the opportunity to see a fairly rough (but running) prototype while sitting at the San Francisco airport late at night with Vianney’s marketing chief, Bertrand Bourgeois. The opportunity to get in early as a sponsor of the work was tremendously appealing to me, and the payoff is a special “Voyager” inscription on the case back that only appears on the subscription pieces. 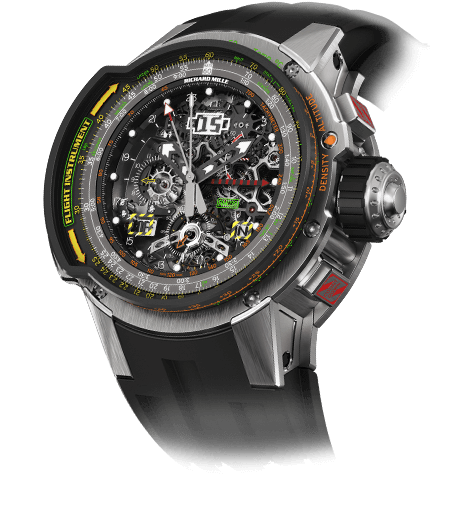 That said, this watch could also be in the “fun” category, although at the price (current retail is 187,500 Swiss francs) one would have to be chortling pretty much non-stop to get a good fun-to-price ratio! This won’t be a full “wearing impression” review – among other things, I’ve only had the watch for a few weeks! It’s beautifully made. I don’t think that Vianney gets enough credit for the truly excellent finishing of his watches, both movements and cases. 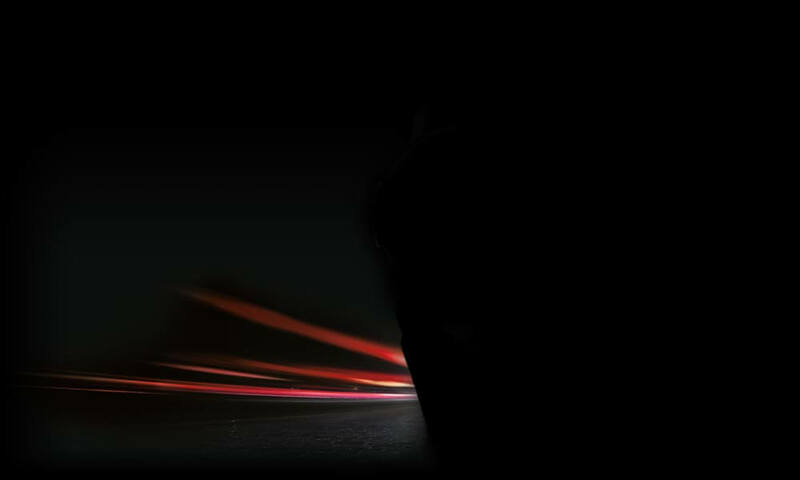 This one is no exception – and in addition is much, much more refined than even the second-generation prototype. 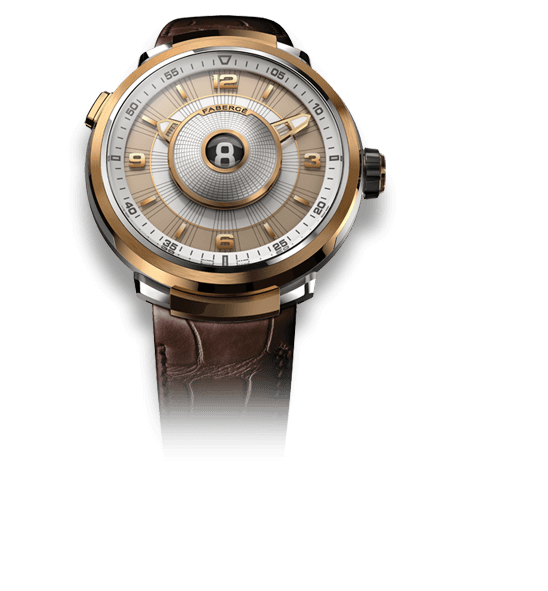 Additional gilded wheels, changes to the size and color of the quarter-hour indices, and subtle changes to the case and crown dimensions and materials are but a few of the upgrades that make the finished watch truly extraordinary. It has the Halter “DNA.” look at the crown of the watch: even though the material (rubber), shape (flat-topped), and color (grey) are different, the grippy nubs remind us of Vianney’s watches from past years, as do the hooded insets between the lugs and other design features. It wears beautifully. Yes, it’s big, but the titanium case makes it light, and the way the straps drop down from the lugs results in a great fit, even on my relatively small wrist. It keeps great time. There’s no second hand, but by observing the position of the tourbillon cage and timing the jumps of the minute hand against my “atomic” desk clock I’m able to conclude that it’s running at about +1 second per day. It’s fun to watch. Oh, that tumbling! Absolutely mesmerizing. It’s a buddy watch. One of the greatest bits about this watch for me is that I took delivery of mine on the same day as one of my closest friends. It’s fun. Lots of very serious watchmaking, but in a whimsical form. Even the display box mixes classical and serious: it is a very sober and beautiful blue lacquered box containing a nesting Space Age display stand complete with silver-colored leather. It makes for a great desk display – in the same way that an Antiqua in its winding box can serve as a desk clock, the Deep Space on its stand is lovely to see as it sits on a desk, spinning away. The design really speaks to you. If you already have some of Max Büsser’s MB&F pieces in the safe and on your wrist, an Antiqua whirring away in its winder, or even a Greubel Forsey with its aggressive expression of brilliant finishing, the Deep Space Tourbillon may well speak your language. You have considered other multi-axis tourbillons like the Jaeger-LeCoultre Gyrotourbillon series but they haven’t quite hit the mark for you. You are an independent watchmaking fan and see this as a landmark piece worthy of your patronage. You have a collection that is heavy on “investment” pieces and you sometimes yearn to see a top-notch, but more unconventional, watch among the assortment in your box. 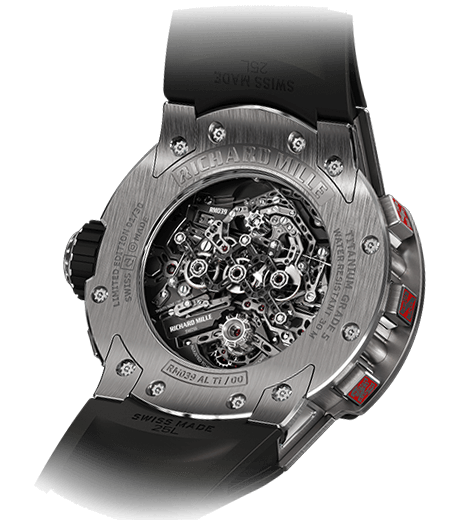 The technical virtuosity of the watch blows you away. You have a Minion USB stick like mine and he seems lonely without the Deep Space Tourbillon. You have the chance to put one on your wrist and just can’t take it off! You demand a high level of certainty about the future value of all of the watches you buy. This would be your only watch, or even one of a small collection – unless you have already been through some cycles of consolidation and feel quite confident about your choices. The prospect of buying a substantial piece from an independent makes you fret about future servicing and finding replacement parts for maintenance. It doesn’t make your pulse race. One caution: when the Antiqua first came to market, many found it off-putting and even almost barbaric! Naturally, in today’s environment, it is now considered more of a classic. I don’t expect that many of these watches to be made, so if you are seriously considering the Deep Space Tourbillon you might be well-advised to think ahead: if you can imagine this watch as part of a long-term collection for years to come, you might be well-advised to get on Vianney’s list today. For more information, please visit www.vianney-halter.com. *This article was first published on July 7, 2014 as Why I Bought It: Vianney Halter Deep Space Tourbillon. You may find the comments underneath the original article interesting.